Joey Caprio, like any other Illinois student, used to stroll down Green Street every day to decide where to eat among his favorite fast-food restaurants. Lunch may have been Panda Express and dinner was probably some pizza. When he was home in Bolingbrook, Illinois, Caprio made time for Portillo’s and Buona Beef. But his favorite Green Street stop is Chipotle because of its relatively healthier options. “Even though Chipotle is not that bad for you, you have to limit the portion sizes,” Caprio said. The junior seems typical, except for the fact that he is a 23-year-old defenseman on the Illinois hockey team. Caprio, or Cap as his teammates call him on the ice, made his season debut on Sept. 29 on the road at Illinois State. 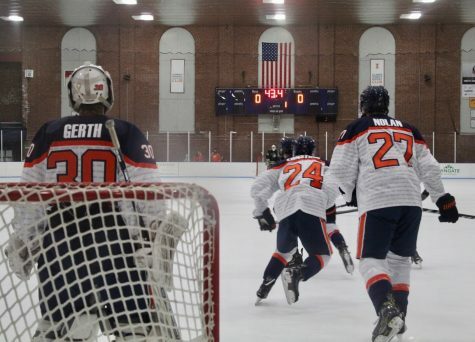 The Illini defeated the Redbirds 6-2, but Caprio did not score. 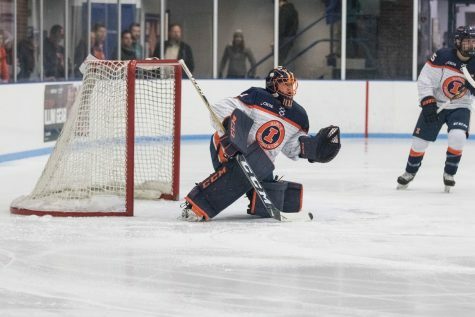 The 5-foot-10 defender weighed nearly 250 pounds and was in no shape to be playing in the American Collegiate Hockey Association’s Division I, the highest level of club hockey. The issue warranted a one-on-one meeting between Caprio and Illinois head coach Nick Fabbrini. 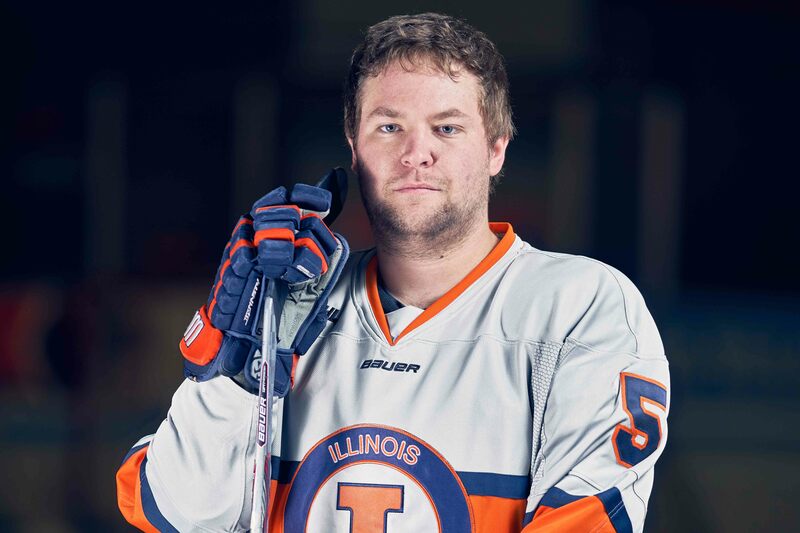 Behind the support of Fabbrini and assistant coach Tommy O’Brien, Caprio went to work, going to the gym by himself three days per week and hurrying to the Illinois Ice Arena for practice about four days a week. Fabbrini went to the gym with Caprio after practices on Mondays and Wednesdays. 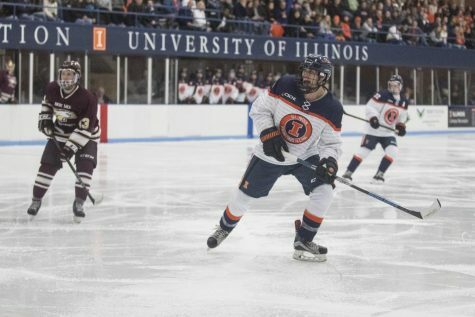 Fabbrini benched Caprio as he trained to get back into playing shape, but the Illini struggled on the ice in Caprio’s absence. Illinois started the season with seven consecutive victories before hitting a three-game losing streak against ranked foes. The junior said watching from the sidelines as his team fell in the standings was the most difficult aspect of his conditioning issues. Caprio returned Oct. 28 when Illinois welcomed Iowa State to the Big Pond. Joey has had that work ethic his entire life. Barbara is Caprio’s biggest fan. She has also seen him fight through adversity. Caprio was 19 and playing with the North American Hockey League’s Austin Bruins in the fall of 2013 when the club abruptly cut him. He returned home to Bolingbrook and pondered giving up the sport he had been playing since he started skating at the age of 3. 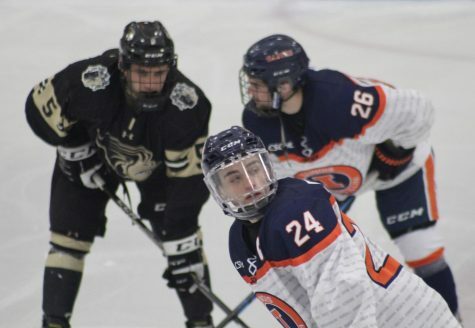 His family encouraged him to give hockey one more chance since it was the middle of the semester, too late to enroll in college. 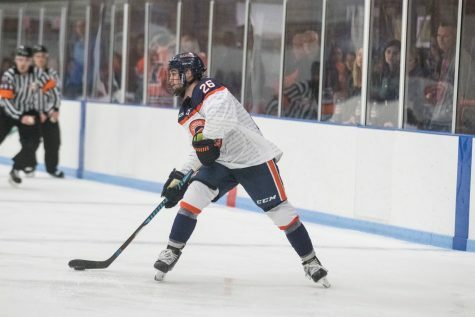 Caprio joined the Minnesota Junior Hockey League’s Central Wisconsin Saints in the middle of the season, and he tallied six goals and 12 points in 17 games. The successful stint landed him with the Illini the following fall of 2014. Joey’s dad, John Caprio, said he is impressed with the growth he has seen from Joey in his three years at Illinois. The younger Caprio is accumulating more ice time this season than ever in his career, averaging more than 20 minutes per game. John was one of Joey’s first coaches. 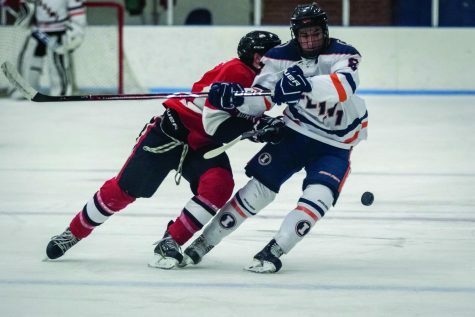 He groomed Joey as a forward in youth hockey, but he let a coach move him to defense — the position he has stuck with ever since. 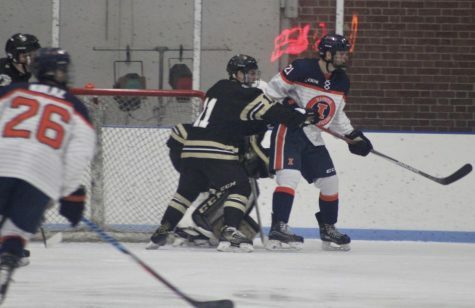 Caprio has had a successful career as a defenseman and is one of Illinois’ most versatile defenders. He has four goals and 13 points this season, solidifying his role as a two-way defenseman. He said getting to conduct the defense is his favorite part of hockey. 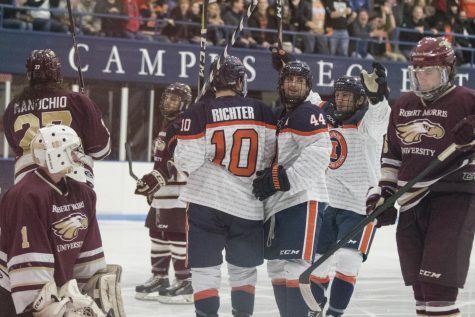 Junior Joey Ritondale, the team’s captain and Caprio’s defensive partner since they both arrived on campus in 2014, appreciates the effort Caprio put forth to get back on the ice and to make an impact in their pairing. Ritondale and Caprio live in the same apartment complex on campus. He says the two have chemistry off the ice because they hang out daily. Caprio, one of the team’s main jokesters, had the support of Ritondale and his teammates during the rough stretch. Through the support of his teammates, coaching staff and parents, Caprio has changed mentally and physically. He has also changed his diet. Today, lunch may just be a SlimFast shake. Dinner will be some source of protein, like steak or chicken, and he is no longer eating all those carbs. Still, he finds a way to sneak some of his favorites into his diet, even after everything he has been through.